There are SO many handbag designers to choose from, but Kate Spade is one who always has my heart. When I bag shop, I’m either looking for something versatile and classic, or completely trendy and fun. There is no in-between. Recently I’ve been looking for an everyday bag, but then I stumbled into a kate spade boutique and spotted this clutch that totally threw me off my hunt for a classic bag. From her collaboration with Disney/The Muppets comes the kate spade new York miss piggy britta clutch. In total kate spade fashion, the bag is super fun and playful. 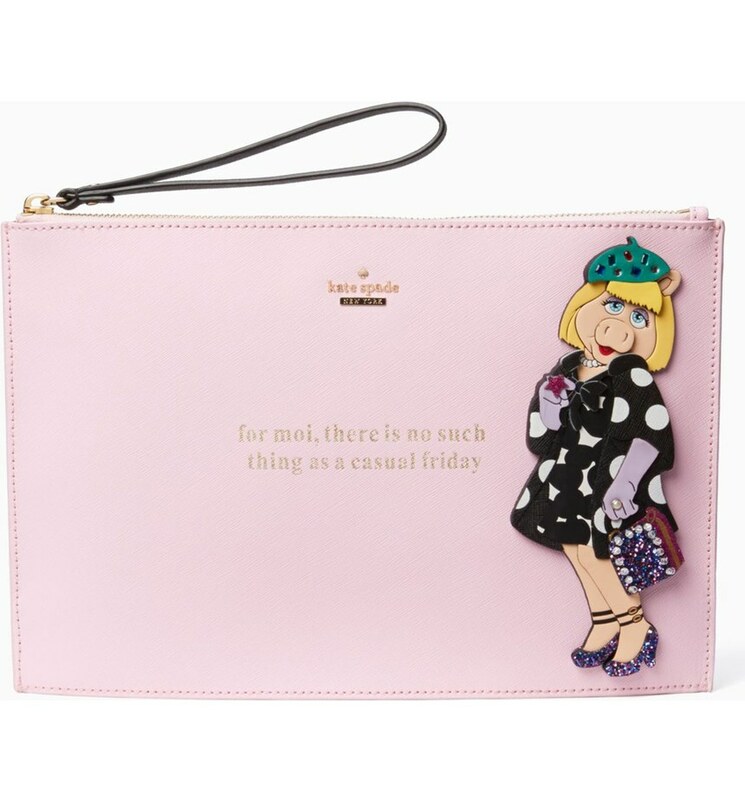 Made of pink leather, the front of the clutch features a super stylish Miss Piggy applique, plus a stamped gold “quote” from Miss Piggy herself: “for moi, there is no such thing as a casual Friday.” For the Muppets lover, pink lover and kate spade lover, (that includes moi), this bag is a must-have! It makes for the perfect Christmas gift, if you’re still looking for a holiday gift idea! Measures 14″h x 12.1″w x 3.5″d. You can purchase the kate spade new York miss piggy britta clutch for $258 at Nordstrom and kate spade.